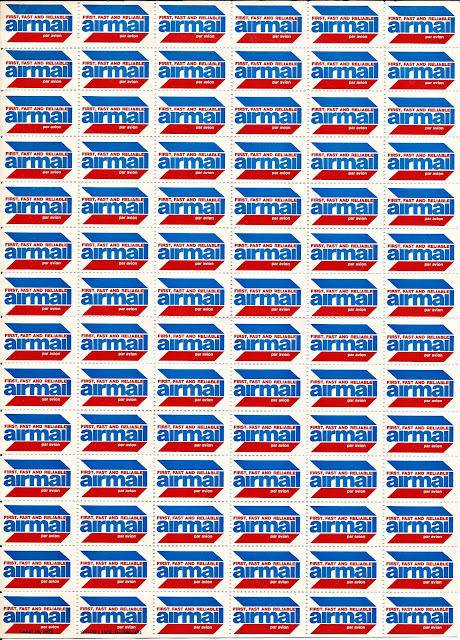 This is a complete sheet of 84 US airmail labels. The sheet of labels is 6 across and 14 down. The entire sheet measures 191 by 267 mm (7 1/2 by 10 1/2 inches). 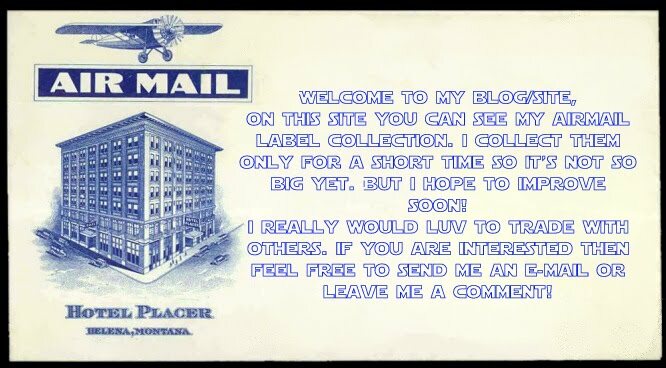 The two labels at lower left have additional identifying printing information on them and those two labels are listed as USA-A-26b in the Catalogue of Airmail Labels. Those two labels are rated as SCARCE by the Catalogue. 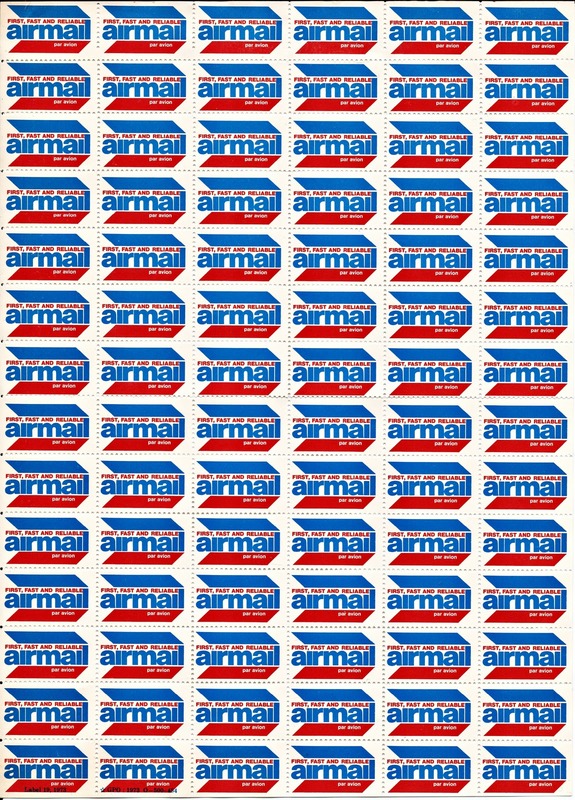 The remaining labels in the sheet are listed as USA-A-26a.